Kira was worse today. She slept most of the day yesterday and woke up this morning still exhausted. There was no fever but her red blood cell count was low. I’m no doctor but that, coupled with her lack of eating and nausea, made it sound like radiation poisoning. We’re not very close to Alpha Centauri’s primary but Kira was out longer and more frequently than the rest of us. Anne dosed her with some anti-radiation shots just to be sure and laid her up in their quarters. For my part, I have a horrid feeling about the whole thing. They tested the blood from the corpse and found similar readings. Low red and white blood cell counts in just about every one of the dead crewmen. 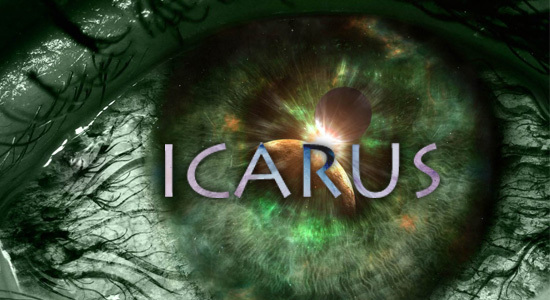 Just to be safe, the rest of the crew made Kate back the Icarus off a few thousand kilometers, but it didn’t make me feel any better. There was no damage to the ablative armor on that ship. Radiation just strikes me as the wrong cause here and radiation doesn’t cause eyes to turn black. Then again I’m no scientist either. Alex and Bree were busy in the Science lab, taking readings and measurements of the system. There are two planets that we can see and Bree believes there’s a few more by the secondary star. Neither planet can support human life, being too close in orbit. That was the only excitement. The rest was dull and I didn’t offer to see Kate again. Instead Jennie and I went up to the observation deck and just took it in. The blaze of Alpha Centauri’s primary is glorious in its incendiary blaze. With the viewing ports dimmed as low as they can go and our UV shutters engaged, it still appeared as a great yellow fireball, roiling and spitting. We spent hours up there, just watching. The two of us sat next to one another but never touched. She was in awe but like Niagara, it was merely an intellectual fascination for me. What must it feel like to be inexorably drawn to beauty and be so affected by it that you are caught up and swept away by it? Sarah was easily taken by such feelings. She tried to describe it to me once. I thought I knew how she felt, for I felt it only once. With her. This entry was posted in Icarus, Original Fiction, Science Fiction and tagged Alpha Centauri, binary star, blog fiction, Icarus, Mike Kern, Niagara Falls, radiation, radiation sickness, Science Fiction, SciFi, star, William Shriver. Bookmark the permalink.